This entry was posted in empowerment, integrity, power, truth, wisdom on 11 October 2016 by Martina. True power needs only truth to survive. We are in tumultuous times. It’s all around us – not just in politics, but in corporate greed, human displacement, and, of course, war. The chaos that is being created is what fuels more chaos. And, sadly, chaos is what those who crave and are desperate to have power need in order to achieve their goals. 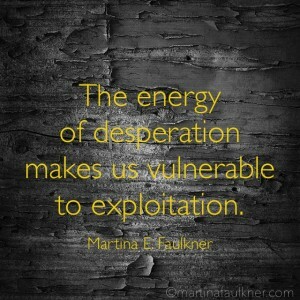 The energy of desperation creates the opportunity for exploitation, and exploitation leads to (false) power. But true power is different. True power is founded and grounded in truth. We all know it. We know when we’ve heard truth, don’t we? And when we speak it. When we speak truth we are standing in our boots, in our power. Of course, discernment is important. We ought to gauge our audience and assess whether or not they are 1) ready and able to hear truth, and 2) have earned the right to hear truth. I actually had this happen to me last week. Someone close to me had asked me about my truth. I discerned whether it was time for them to hear my story, and it was. So I shared it. There was no embellishment or flourish, there was simply story as I experienced it. And it was – and is – my truth. They heard it. They heard truth, and it shifted things. There was a deeper connection and understanding I believe that resulted from speaking truth. And even if there wasn’t, what matters is that each time I speak truth, I am empowering myself to stand even more firmly in who I am as I move through life. As you know, I call it standing in your boots, and I teach all my clients this. There is infinite potential in the integrity of truth. The powers that be all over the world seem to have lost that little piece of wisdom along the way. Half-truths are manipulative and lack integrity. “Spinning,” which is such a popular phrase in the media, is the opposite of standing. You can’t spin in your truth. You can only stand in it. And what matters most, above everything else, is that we all find a way to stand in our boots on a daily basis. That we individually hold onto our own integrity, so that collectively, we can create change from within. I suppose this is my way of saying that we seem to have lost our way as humanity, as a global tribe, and that maybe the way back is through integrity and recognizing that all “power” is fleeting, false, and temporary, unless it is born of truth. Finally, that perhaps speaking, acting, and upholding truth is the first step back to a more compassionate and connected society. 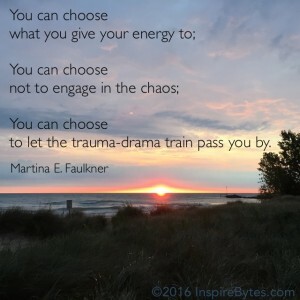 This entry was posted in belief systems, change, empowerment, possibility, power on 12 April 2016 by Martina. I came across this quote the other day, and it struck me with how simple it is. At first I wanted to disagree, because I was thinking that people mostly give up their power by having too many externalized hopes and expectations. They live outside of themselves, through others. This is a common trait in codependency: you define yourself and your world through or in relation to someone else. Your identity is based on anything but you. It’s a very powerless place to be. It scared me to believe that people truly don’t think they have any power to begin with. Really? Is this the most common reason for powerlessness? If so, that’s a truly shudder-producing thought indeed, and it prompts me to wonder how someone could get from being a child who believes in superheroes and possibility to an adult who believes they are powerless and at the mercy or whim of their environment or situation. How is this possible? And yet, I see it every day. The quote is, sadly, true. 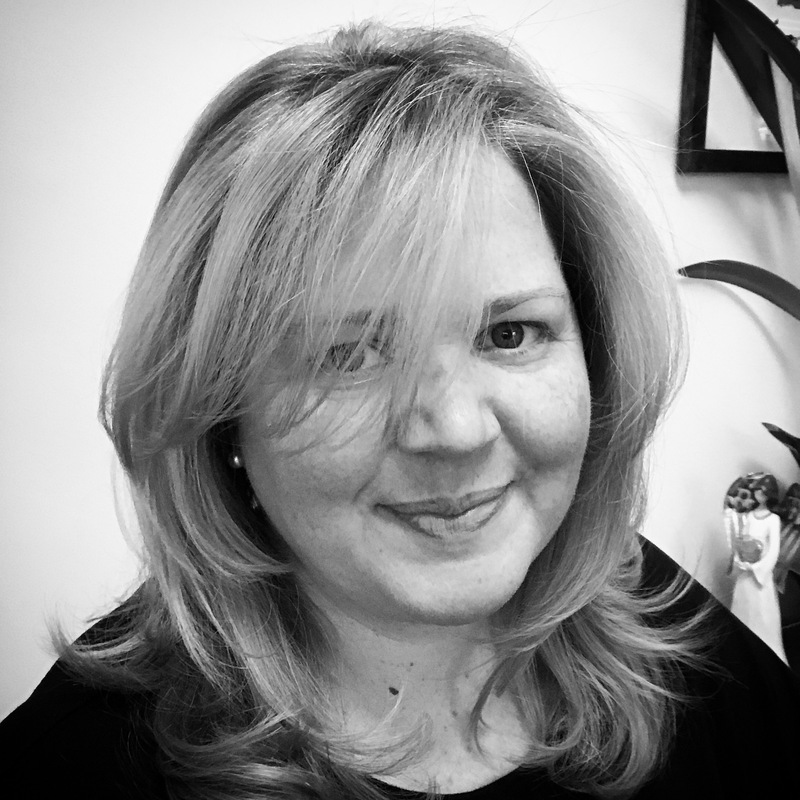 In my work I have met with countless clients who have shown up to our first session having no sense of their own innate presence, let alone power. Our journey together is about helping them to rediscover their joys, their voice, their passions, and their Self – which, frankly, can all be lumped into the word: Power. Powerlessness is debilitating. Somewhere between five years of age (when we’re running around barefoot in the grass knowing without doubt that anything is possible and imagining a world in which we can be everything we know we are in our hearts) and 25 years of age (when we believe everything is limited by situation, environment and others) we have lost our Power. We have lost our sense of Self; we have lost our knowing. Somewhere in our 30s or 40s (if we’re lucky) we stumble across a feeling that reminds us we are powerful, if even for a moment, and that creates a longing to remember the days of our youth. I think that’s why many people experience a “mid-life crisis.” We are trying to recapture the expansive nature of our childhood: our innate Power within. So, what would happen if those who have forgotten their Power actually started to realize that it’s there inside them, within their reach? I’d argue that we’d have a slight period of discomfort during the shift as we all adjust to a new, more natural, paradigm, followed by true peace, joy, harmony, and love. Because our individual Power is not about power over others; it’s about living in alignment with who we are, with respect and regard for everyone else doing the same. Life is no longer lived in competition (a construct of living externally), but it is lived in mutual growth, understanding, and support. We each have a unique role to play in this world. Though we may strive to “be like” so-and-so, at the end of the day, that’s not who we are. It would be better to be inspired by so-and-so, and live more fully as who we each are. That is the true goal of life: to realize who you are, and step into that more fully each day. That is the definition of Power. The beautiful thing is: as we each begin to take steps toward this truth, we encourage and allow others to do the same. The ripple effect is vast. Through being in our own Power, we empower others to do the same. And… there’s nothing more powerful than that. This entry was posted in acceptance, authenticity, awareness, empowerment, neutrality, power, tool box on 29 March 2016 by Martina. If you’ve been with me for any length of time, you know I refer to my tool box often. It’s a constantly growing arsenal of lessons learned, experience gained, and skills acquired. During my recent book tour one attendee (who has been with me since 2010) suggest I change it from a “tool box” to a “tool shed” based on its ever-expanding size. She may be right. It’s essential for us to always be learning, expanding, and adding to our armory of useful skills and knowledge. However, it’s also important to know the difference between a sledgehammer and a screwdriver in order to best apply each tool to maximum effect. In addressing this practical aspect of our tool box inventory, I think it’s most important to know your most powerful tool, what it is and how to use it. So, what is the MOST POWERFUL TOOL in your tool box? It might surprise you, but it’s NEUTRALITY. I suppose a more obvious answer would be Love or Compassion. Perhaps even Empathy. Certainly, my training and certification in Brené Brown’s work would suggest that Empathy is a very powerful tool. But it’s not the most powerful. Neutrality is. But to fully understand Neutrality, we have to also understand what it’s not. Neutrality is not a reaction, nor is it a response. Neutrality is not lack of connection, compassion, love, understanding or empathy. There is no “lack” in Neutrality. It includes all those things. Conversely, Neutrality is not full of any one characteristic either. It’s not Love, and it’s not Empathy. Nor is it compassion and understanding – but it is a form of connection. In a way. Neutrality is presence. And through that presence is a connection to your Self. Your inner knowing and your core essence. It’s not passive, rather it’s an incredibly active and deliberate way of being, of relating. At its core, neutrality is 100% authenticity, wrapped in integrity, and expressed as presence. Neutrality is a tool that allows you to be present, without giving away or allowing someone to take your power. It can be passionate in its sure-footedness, without being emotionally charged. It allows for the acceptance of “both-and” thinking where two things can be true (i.e. : someone can be behaving like a jerk, and also be a kind person). For me, a lighthouse is the ultimate symbol of Neutrality. It stands its ground and does what it does really well. A lighthouse knows it can neither change the storm nor navigate the ship. A lighthouse allows for both the storm and the ship to pass as they will, without judgment. This, in turn, allows the lighthouse to keep being a lighthouse, free from the ebbs and flows of emotionality. Power resides in this freedom, which is why practicing Neutrality is the most powerful tool in your tool box. This entry was posted in change, empowerment, power on 24 March 2015 by Martina. What is the most powerful thing you’ve done? Or that you can think of? The entire infrastructure begins to unravel. Neo rejects the reality he had been forced to accept, and in that singular moment what was deemed “real” begins to fall away. The way things have always been done is challenged with a single-syllable two-letter word. Standing is all about owning your space, your presence, in the world. Similarly, the word “yes” is equally as powerful… when you’re saying it to yourself. Saying “yes” to yourself is about acknowledging and embracing your validity in the world. It’s about honoring your place, your purpose and your truth. “Yes” and “no” are Power-full words. They invite the potential of the Universe to a seat at the table, your table – where your dreams can become your reality. This entry was posted in awareness, Blame, empowerment, fear, power, Shame, words on 9 September 2013 by Martina. Two (somewhat) harmless words on their own, yet when combined “what” and “if” carry the entire power of the Universe in 6 letters that can be simultaneously destructive and/or creative. 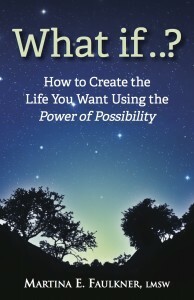 “What if” is attached to the most creative and infinite power of all: imagination. As a tool for exploration and innovation, these two little words open up endless possibilities. Dreams become realities. However, “what if” when used in hindsight becomes the harbinger of shame, blame and despair. The ‘shoulda-coulda-woulda’ of that which was not done or seen. The hallmark of regret and the key that unlocks the abode of fear within the mind. Six letters, two words…powerful beyond measure, and what separates how they are used, is you. This entry was posted in grounding, power, root chakra, words on 14 June 2010 by Martina. 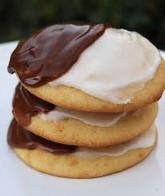 So, one of my favorite cookies in the world are called ‘black and whites.’ I grew up with them in the NYC area, though I am not sure where they originated. This week, the “black and white” I refer to is the printed word. 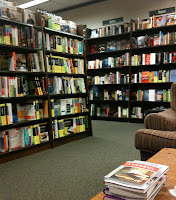 As I sit here among billions, perhaps trillions, of printed words (I’m in a bookstore), I am thinking about the freedom with which we use words to create feelings, actions or situations. It’s quite a responsibility. One wrong word can cause chaos, just as a few beautifully placed words can create unparalleled joy. The bottom line is words have power beyond their significance. So, I was intrigued recently while reading a travel guide to discover the use of the word “earthed” instead of “grounded.” I guess they mean the same thing, though ‘grounded’ is vastly more familiar – especially in the healing arena. 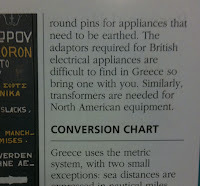 But what about “earthed?” Well, in this context it was referring to electrical appliances and plugs. The guidebook said, “for appliances that need to be earthed.” Perhaps this is common usage of the word in other countries, but it was a first for me. And it won’t be a last. I LOVE this word. It’s rare, unique and incredibly descriptive. In exploring the possible difference between the two words, it’s important to first understand what it means to be grounded in the energetic/spiritual sense. The most common form of “grounding” is with the earth. We are organic matter, the earth is organic matter, and we are both made up of energy. Therefore, to connect with the earth is to “ground” yourself with her and her energy. 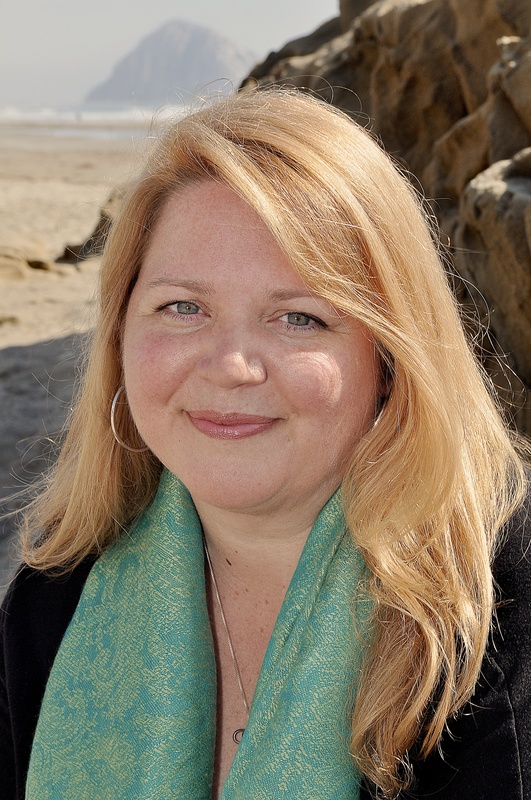 We do this through meditation and chakra visualization exercises – specifically the first, also known as the “root chakra.” By energetically connecting with the Earth, we center ourselves, create balance, wellness and strength, to where we truly feel connected with something greater than ourselves, deeply and solidly. To be grounded means to connect with that of which you are a part. Yet it also somehow maintains a distinct separation between the two identities. Perhaps this is because we also refer to the surface of the earth as the “ground.” It creates a visual of standing upon – still two separate entities. In contrast, if you are earthed, it almost feels as though you become one with the earth. As if the earth were to swallow you up, surround you completely, cradle you in her soil and provide peace, strength and protection to your person. To be earthed gives me a sense of becoming wholly part of her as one life force. I am no longer standing on soil; I am soil. It simply feels different. This is why I like the use of the word “earthed.” It is so much more descriptive for me. If someone were to say to me, “I am grounded,” I would be pleased for him or her. If, instead, I were to hear, “I am earthed,” I would take note, because the sensation I experience when a visual image pops into my mind in association with that statement is far more detailed, weighted and complete than that which appears when I hear the first statement. I may be unique in this, but I wager that given the opportunity, many others would share in my experience. Which brings me back into the bookstore. Here, I feel grounded – not earthed. Is there a distinction? I think there is. Though both may be used interchangeably, as so many other words are also used, I will choose when to use each, deliberately and with clarity of intention. Once more we return to the issue of the power of words. And I ask you this: Is their power inherent in their definitions and our linguistic connotations? Or could it be that their power lies in our intentions and conscious choice in using them? What do you think? Spend a day listening to what people are saying to you, then spend another day listening to yourself as you speak to others. You decide where the power lies.